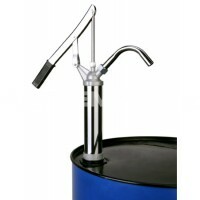 The Piusi Bypass 3000 portable DC diesel transfer pump is a handy dispensing solution, used as a mobile refuelling pump or for general diesel transfer when only battery power is available. 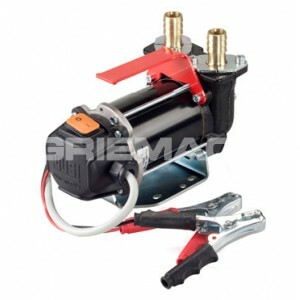 Due to their compact size, the BP 3000 24 and 12v diesel transfer pumps are easy to carry and are supplied with a carry handle as standard. 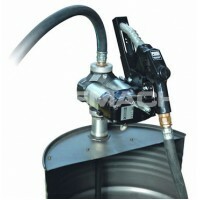 2m or 4m cable and clips are supplied allowing easy connection to the vehicle's battery, making this Piusi pump portable and ideal for agricultural and construction site applications. 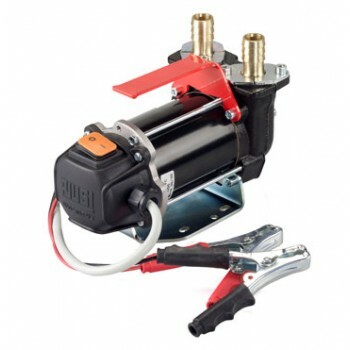 Depending upon your installation, this 24v and 12 volt fuel transfer pump is available with vertical ports or horizontal/inline ports like with the previous Piusi Bypass 2000 pump. There are also both threaded and hose tail inlet/outlet versions for you to choose from, providing flexibility in its fitting.